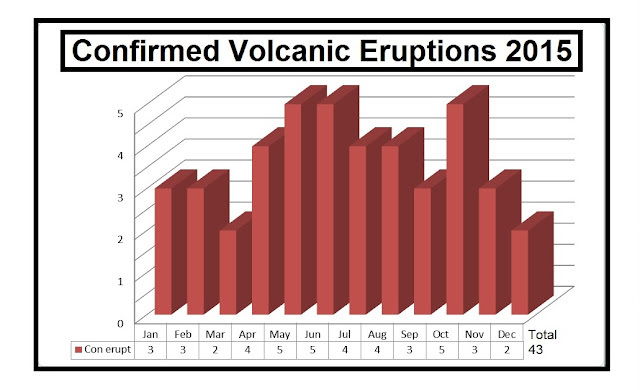 Although 2016 was a relatively average year for the world's active volcanoes, the activity that did take place was still spectacular. Out of an estimated 1,500 active volcanoes, 44 erupted in 2016, spewing steam, ash, toxic gases, and lava. 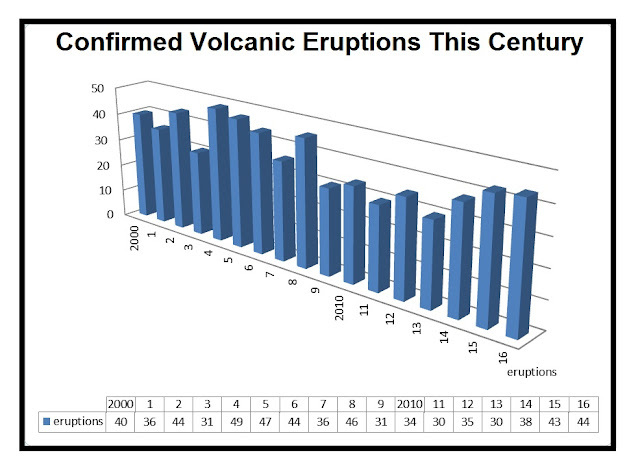 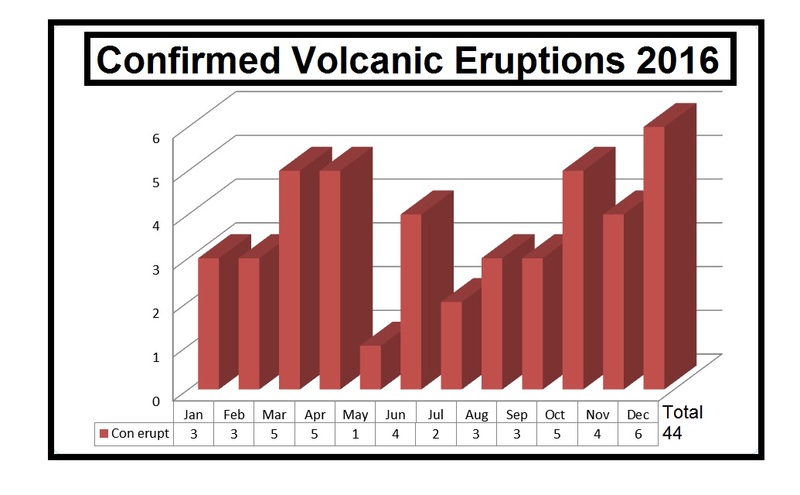 Around 40 confirmed eruption is an average year this century with totals remaining pretty stable through the first 16 years.